Hi everyone! It's Monique on the blog today sharing a "Here Comes Santa Claus" layout with you. Although it was sunny and warm outside (25 degrees Celsius, very warm for us!) 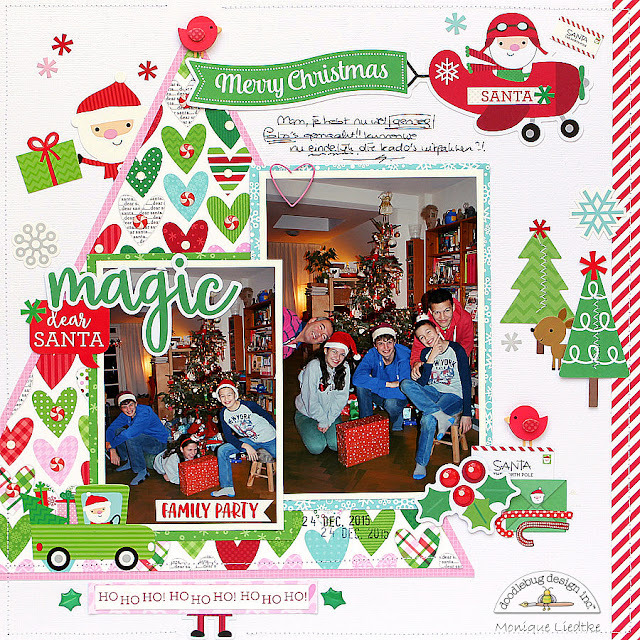 I really enjoyed scrapping some Christmas photos. Christmas is my favorite time of the year and I can't wait for it to be December again! I started this layout with the large background Christmas tree, which I cut from the "Holiday Hearts" paper and matted it with the "Cupcake Gingham-Linen Petite Prints" paper. Next I matted my two photos and arranged them on the tree. All the embellishments came next. My layout turned out a little busy as I'm never able to stop adding more and more die-cuts, stickers. sprinkles, etc. 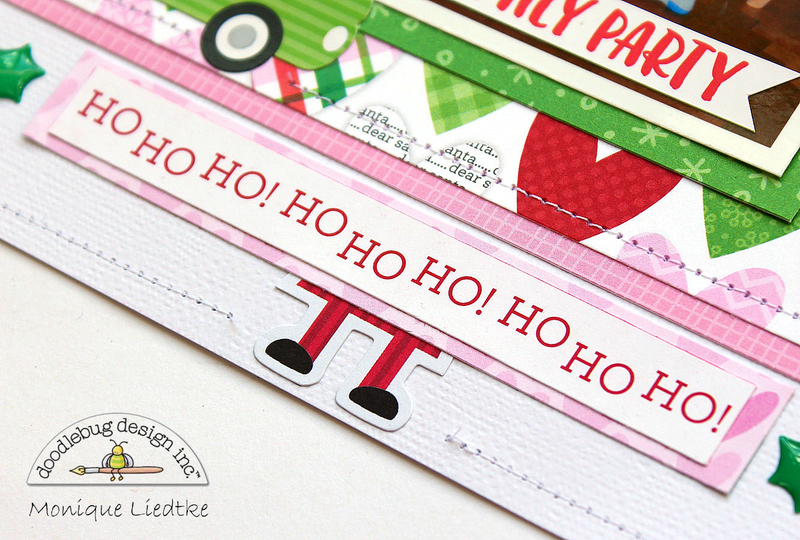 The Odds & Ends package is full of cute Santa's! 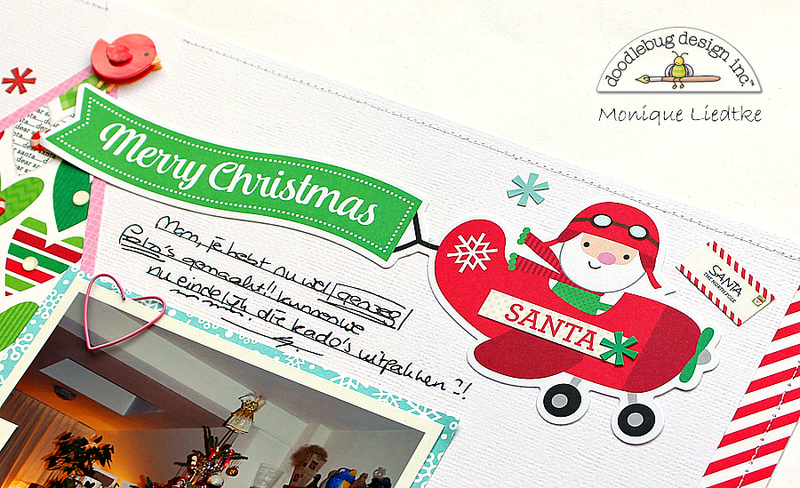 Here's one of them: Santa in a plane .. isn't he fun?! And don't you adore the "Red Robin Mini Doodle-Pops" and that fun paper clip?! I sure do! I decorated all the hearts in the tree with shiny Sprinkles from the "Holly Berries" Shape Sprinkles and the "Candy Cane" Shape Sprinkles. For another layout I needed only the top of one of the Santa stickers and so I had the legs left ... Don't you think it looks like he's hiding behind the tree? 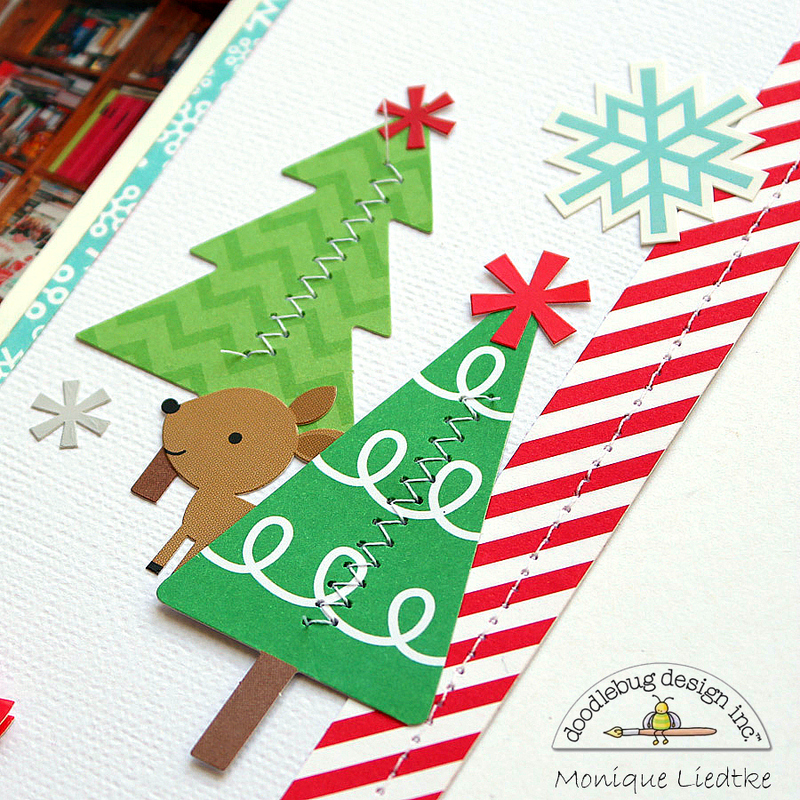 I just love the shiny Candy Cane Shape Sprinkles in this collection so much! And one last close-up. I added some machine stitching for the finishing touch. Thank you so much for stopping by our blog today. 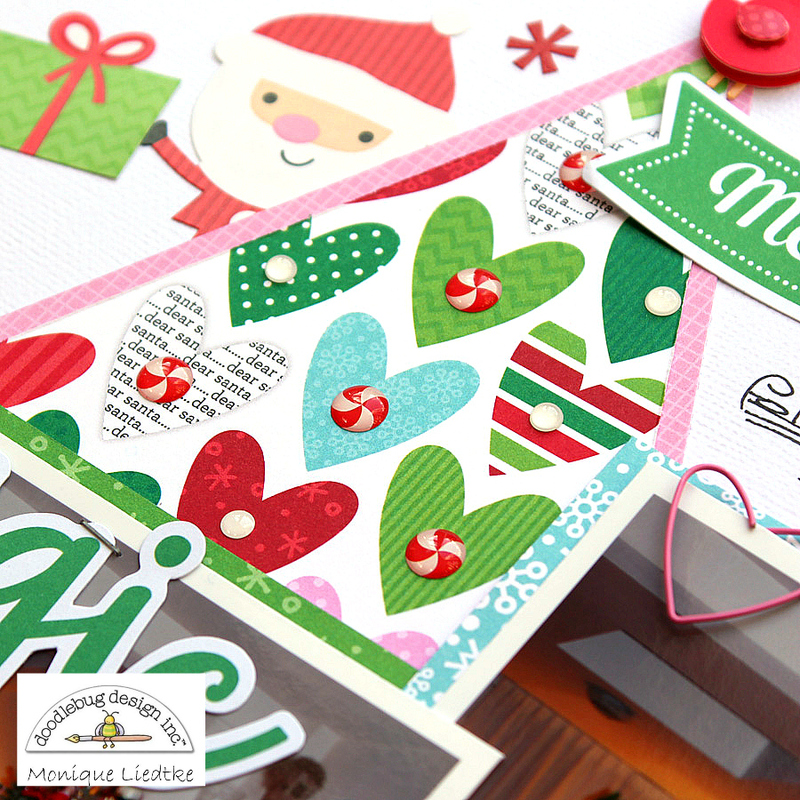 I can't wait to see what you'll create with this awesome Christmas collection! Monique this is swoon-worthy!! I love that heart tree!!! Love it Monique, such a fun page! So fun! Love that Santa in the airplane flying above your darling tree!